Chockdee Resort on Koh Chang is in the south of Klong Prao Beach. 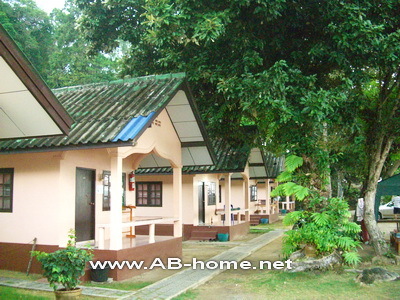 The hillside bungalows and the sea front accommodation are a good and cheap option to stay on Ko Chang in Thailand. Especially for long time tourists is Chok Dee a popular address with clean and comfy accommodation on the beach. The center of Kai Bae is just 150 meter away and easy to reach by walk. Around Chok Dee Koh Chang are some restaurants and shops for go out for dinner. The Chokdee Restaurant is as well a good location if you like sea food, Thai and western dishes in a rustic atmosphere direct on the Gulf of Thailand. At Chok Dee you can cherish your Thailand holidays and can enjoy some great days on Koh Chang Island in Asia. 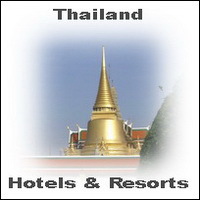 More Koh Chang Hotels here.